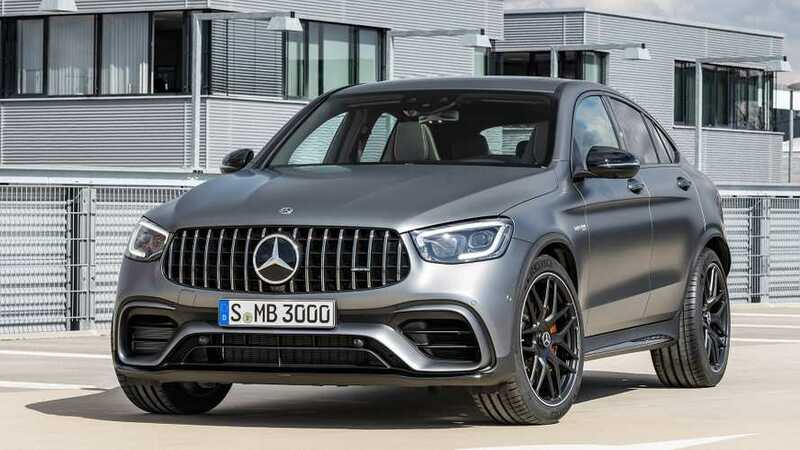 2018 Mercedes-AMG GLC63 S Coupe 4Matic+. What a mouthful. But nestled in the middle of that interminable nomenclature are three characters that’ll tell you everything you need to know about Mercedes’ latest star: C63. As in, AMG C63. As in, one of the finest performance cars you can buy today. Yes, the GLC-Class crossover and its weirdo GLC Coupe sibling now get the biturbo V8 heart of Mercedes’ superstar C63. And the result is a pair of crossovers that are as glorious as they are unnecessary. 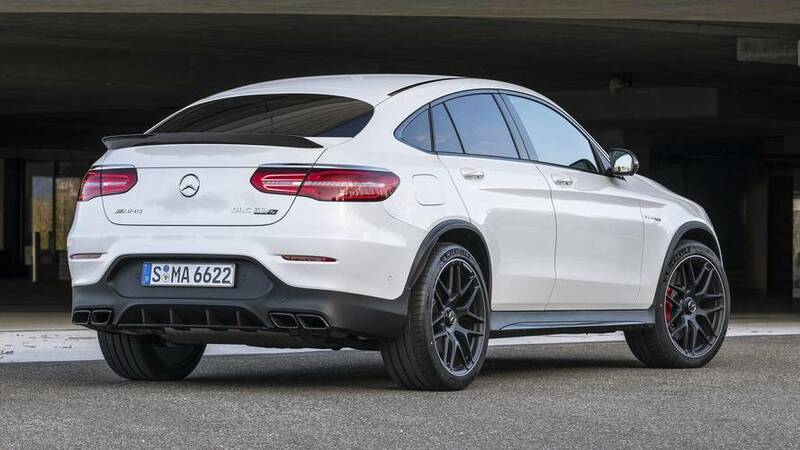 When it arrives in the U.S. next year, the GLC63 will come in three flavors. 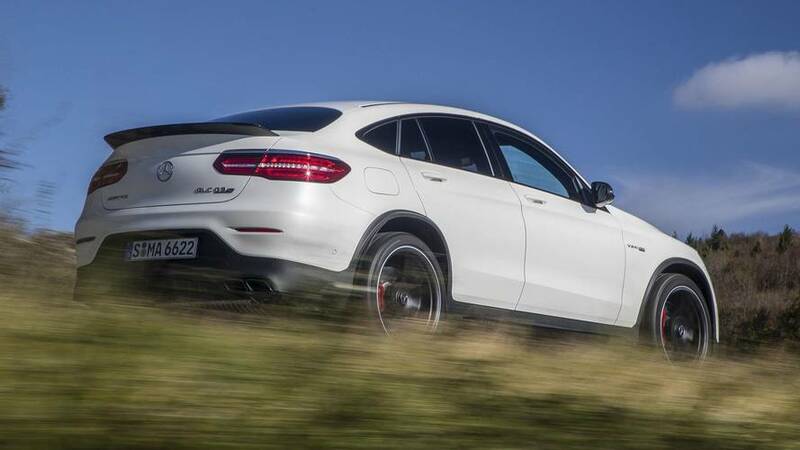 There’s the standard GLC63, with its 4.0-liter biturbo V8 tuned to 469 horsepower and 479 pound-feet of torque. There’ the GLC63 Coupe, which can be had with that same engine tune. Or there’s the range-topping S Coupe tested here, with 503 hp and 516 lb-ft. Other markets will get an S version of the non-Coupe GLC63, but that won’t come to America. Bummer. That’s the one I’d have. This crossover’s performance is visually communicated through its wider haunches, fat tires, and quad exhaust tips. What a brute. There’s something so cool about the way the non-Coupe GLC63 looks. It’s lower and wider, bulging and flaring and snarling with purpose. 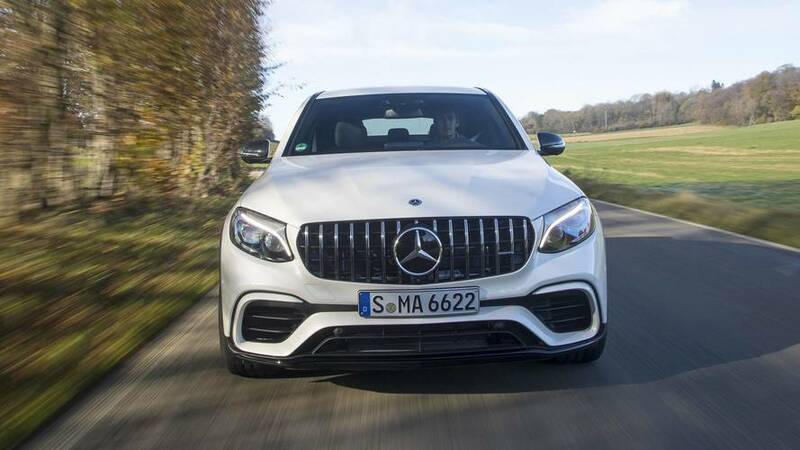 Mercedes’ “Panamericana” grille, with its vertical slats, looks absolutely killer on the GLC’s face. Even better, this car has a wonderful stance when viewed from the rear. This crossover’s performance is visually communicated through its wider haunches, fat tires, and quad exhaust tips. What a brute. 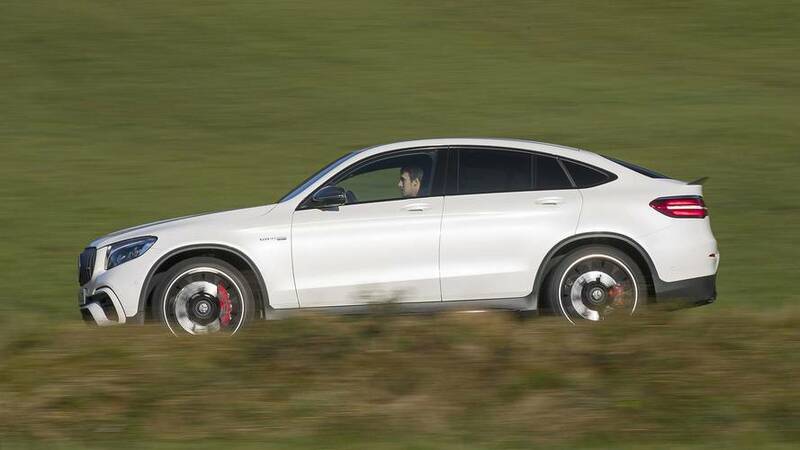 That’s not to say the GLC63 Coupe isn’t a looker – if you can get past the weird swoopy-SUV thing. 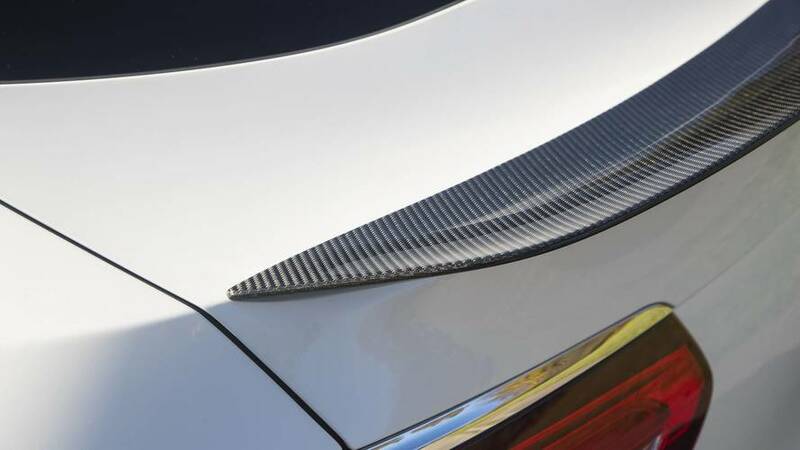 The only seriously egregious bit, to my eyes, is that carbon fiber ducktail spoiler. I’m sure it improves aero, but man, does it look bad. You can’t see that wing from inside, though. Really, the GLC Coupe’s rear visibility is that bad. 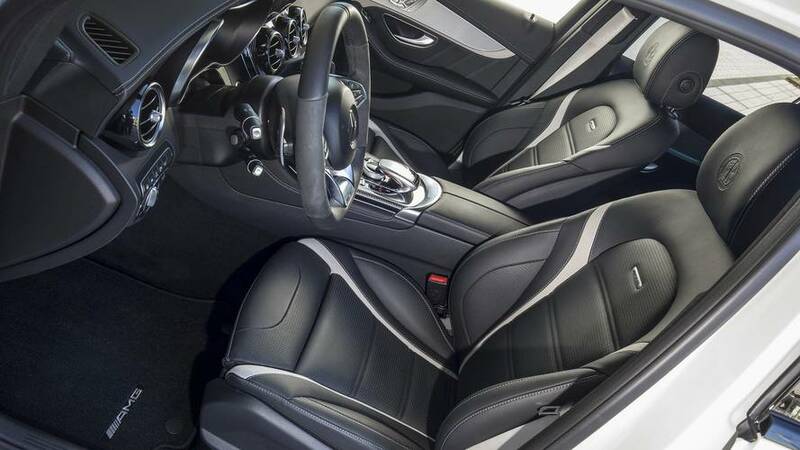 But I digress, the AMG’s interior is just as comfortable and plush and tech-focused as any other GLC model. Supportive front seats hug the driver, with optional heating and cooling. A small-diameter, thick-rimmed, Alcantara-finished wheel is a great helm with which to do business, and there’s ample room for four or five passengers. The coupe reduces headroom a bit – especially in the back – but regardless of body style, the AMG GLC63 is comfortable, luxurious, and quiet. If you’ve ever driven a C63, you know that it roars and snarls and crackles and burbles on overrun. Not a single ounce of that character is lost in the larger GLC63 package. Well, quiet-ish. 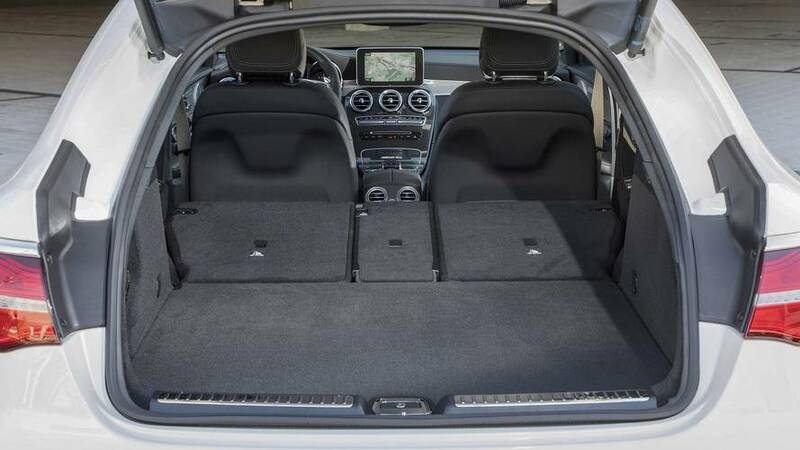 That’s not a critique of the sound deadening, mind you – that’s a compliment to the sheer verbosity of the AMG-tuned 4.0-liter biturbo V8 underhood. If you’ve ever driven a C63, you know that it roars and snarls and crackles and burbles on overrun. Not a single ounce of that character is lost in the larger GLC63 package. It makes the same hilarious noises. 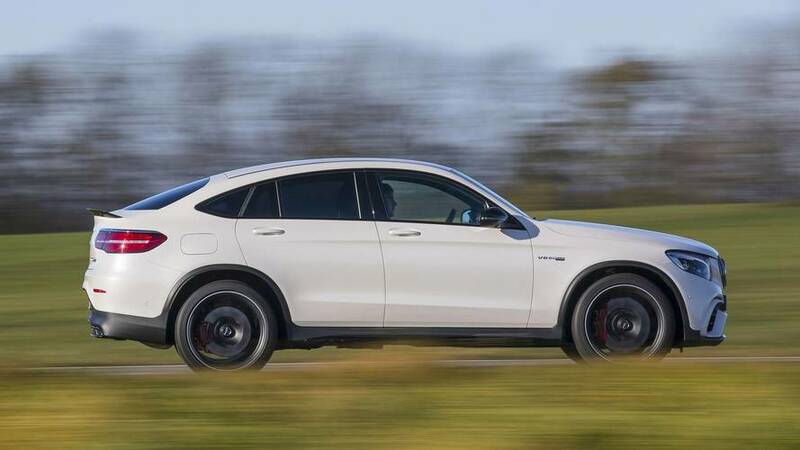 It fires off the line with tremendous quickness; the GLC63 S will do 0-60 in 3.7 seconds, which is actually two tenths of a second quicker than a C63 S sedan. It has the same drive select system, with Comfort, Sport, Sport+, Eco, and Individual modes. 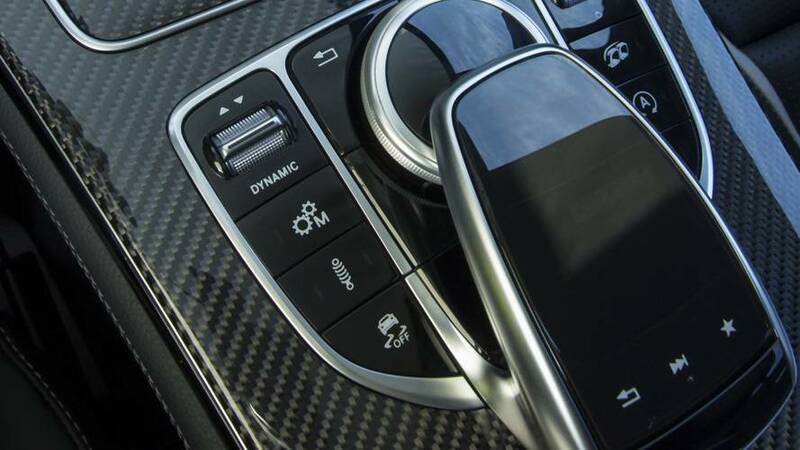 And it has the same exhaust button to the right of the COMAND infotainment controller, to let everyone around you know this car means serious business. It’s a total hoot, even on a particularly wet November day as I hustle through the countryside outside of Stuttgart. 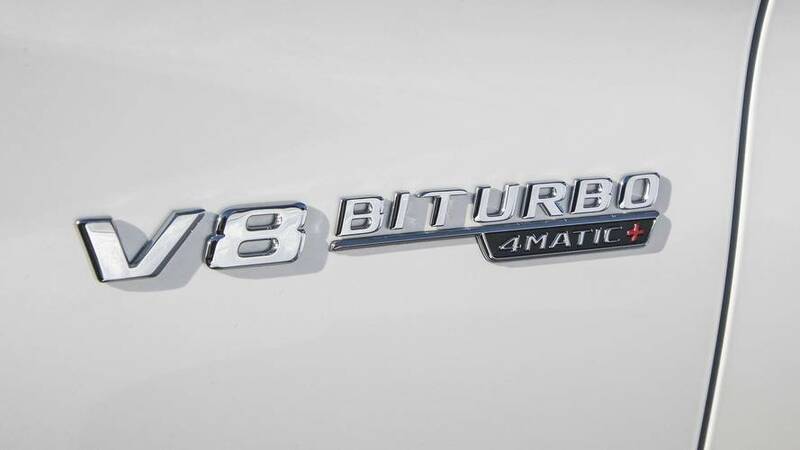 The 4Matic+ all-wheel drive has a fully variable torque split, with a rear-biased default setting, and can even send all of the engine’s power to the rear wheels if desired. 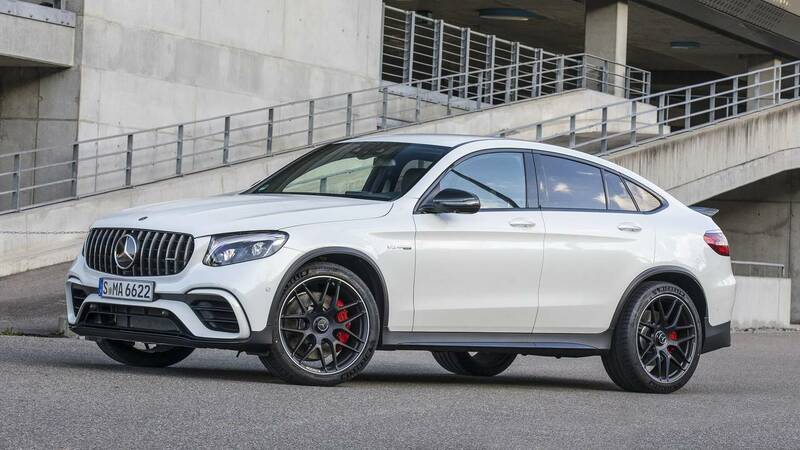 (No, the GLC63 doesn’t have a cool Drift Mode like the AMG E63.) Even with the all-wheel-drive system working hard to move power between all four wheels, the AMG doesn’t lose its fun-to-drive edge. Even in its full-on setting, the traction control lets the back end side-step while powering out of a tight corner – though some of that could be due to the road conditions, not to mention the winter tires fitted to this car, which are mandatory in Germany in November. 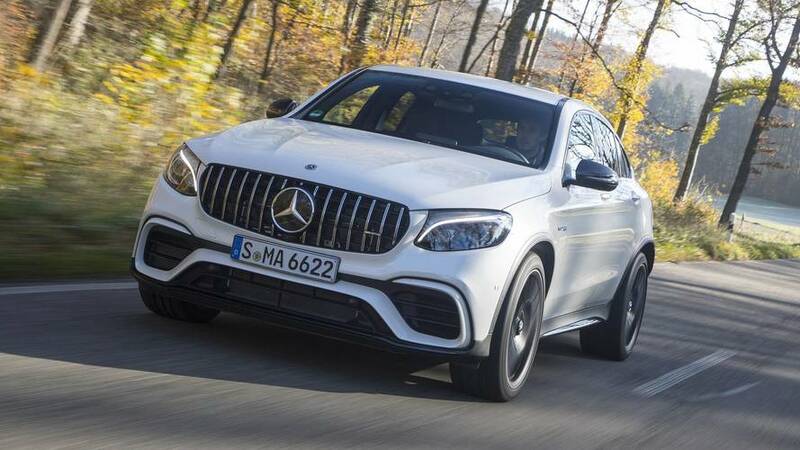 I have no doubt the GLC63 will be a formidable performer when I get it back home in Los Angeles, on dry, sun-drenched California roads where its Michelin Pilot Sport 4 tires will really be able to claw into the pavement. 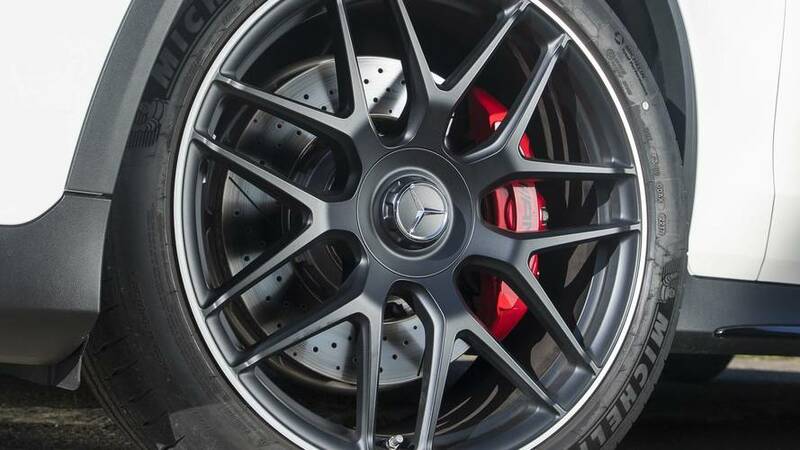 But even in the cold and rain, there’s still plenty to learn: the speed-dependent, variable-ratio steering delivers a ton of feedback through the wheel, the air springs at each corner deliver a ride quality that’s both comfortable and stable, the big AMG brakes feel as powerful as that V8 engine, just in the opposite direction. I can’t say it enough: this thing just feels like a tall C63, with more room in the back. This is not just a GLC crossover with AMG badges. This is as proper an AMG car as any other, full stop. And really, there’s nothing else like it on the road today. Audi doesn’t make an RS Q5. BMW doesn’t make an X3 M. There’s no XC60 Polestar. No XT5-V (ha!). Hell, even the Porsche Macan Turbo with the optional performance package falls short, with 440 hp. 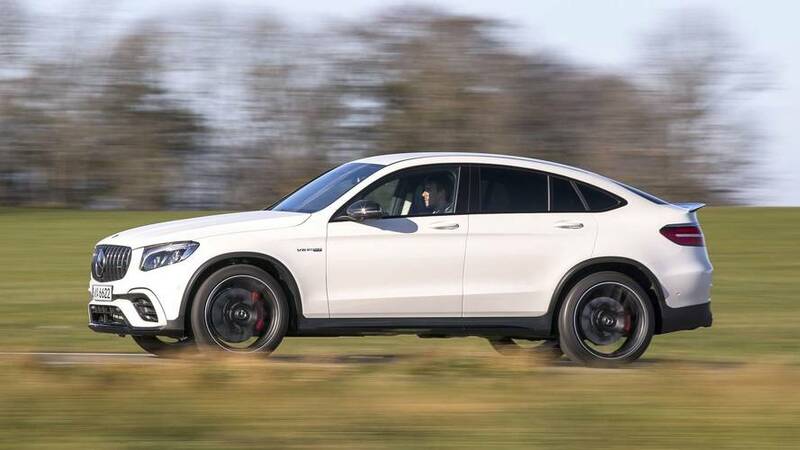 And while pricing is still not confirmed as of this writing, company estimates of around $75,000 to $80,000 still put the GLC63 below the $87,700 of that hottest Macan. That the GLC63 is essentially in a class of one makes it rather special. It’s the closest we’ll get to an AMG C63 Wagon in the U.S., and its blend of incredible performance and useful functionality makes it really appealing. It’s a car that exists not because it has to, but because it can. And with an end result that’s this good, that’s all the justification I need.